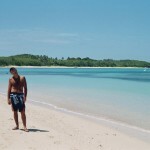 Fiji, just the name makes your mind start travelling. In 2005 I was just a three-hour flight away, so I had to get on that flight. 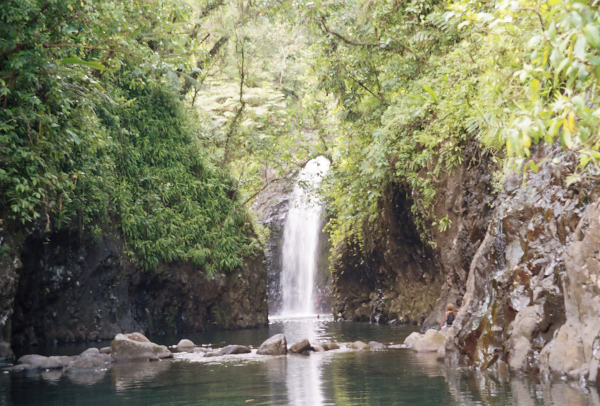 Fiji is a huge group country of tiny islands with some of the smaller ones only kilometre long and 500 metres wide. 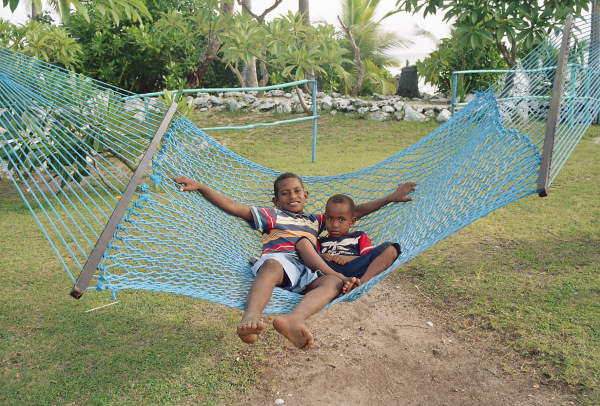 The two biggest islands, where most of the local population lives, are Viti Levu and Vanua Levu. 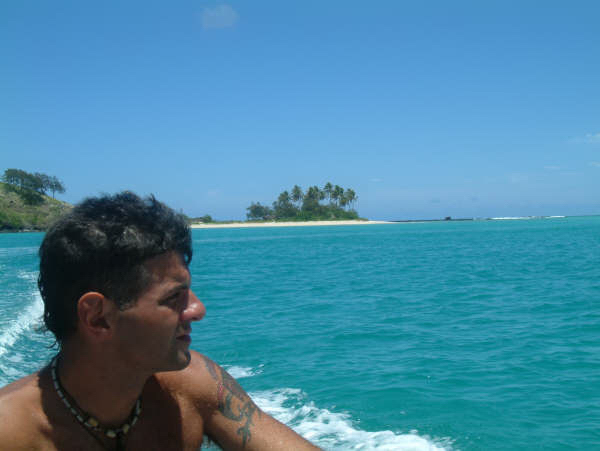 I chose the first one as my landing point since from the city of Nadi I would be able to catch a boat to the other smaller islands that are part of a big coral reef. The local population is a mixture of indigents and Indians from mainland India that were brought here by the English and after getting their freedom, they never wanted to go back. As soon as you arrive at the airport, the first sight that catches your eye is a group of Fijians next to the Customs Office singing to you and finishing with a warm «bula», which means welcome as I found out later. I must admit that I have never experienced such a warm welcome in any of the 76 countries I have visited until now. Nadi itself, except for the local market and some woodcarving shops, didn’t impress me because it was full of souvenir shops and Indians in a mood to bargain. 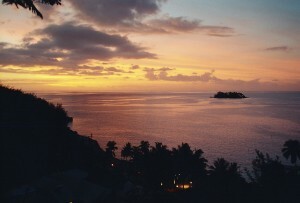 After two nights I was ready to head out to the small islands. The first group I chose to visit was the Mamanuca group. I picked the islands of Malolo and Mana, both governed by a tribe leader who’s responsible for the local people who work at the resorts that are built on the islands. It’s a small society with very specific rules that all the locals are forced to follow. 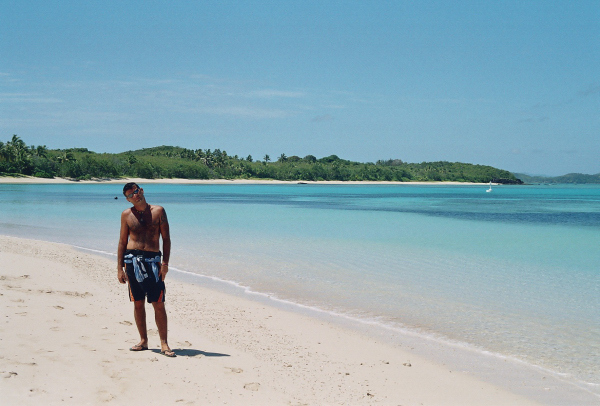 Both islands had turquoise waters all around their white sand beaches. It was really a magnificent sight. 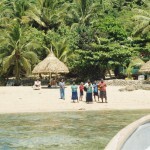 As I learned from the local leader, the Yasawa group that was further out was more isolated and of course less touristic. I didn’t hesitate at all although the transportation was difficult. I found a fisherman who was heading that way and I managed to get there. Our first stop was Waya with its small sister Waya Lay Lay. It’s a small paradise with a tropical feel and extremely nice locals. 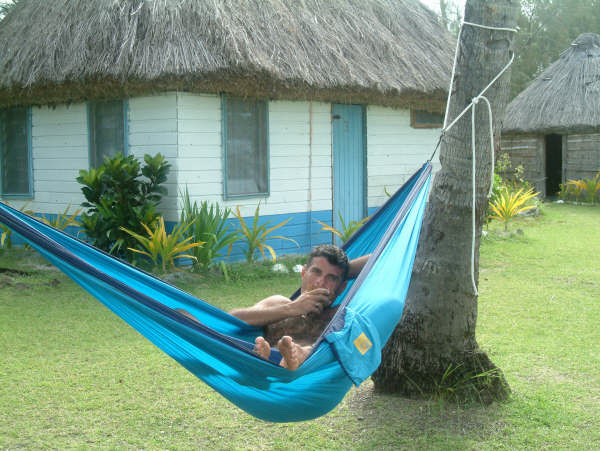 I stayed in a hut right on the beach that became my little hideout for a couple of days. The funny thing is that technology had reached that small piece of land, where every supply had to be transferred by boat from the main island. So the biggest hut, where the restaurant was, had Internet access. On every island the food is included in the price you pay for accommodation, since there’s nothing else that can provide you with any food supplies except for the lodge you’re staying at. 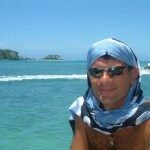 In Waya I got an e-mail from my friend Diana that was flying over form Australia to meet me. 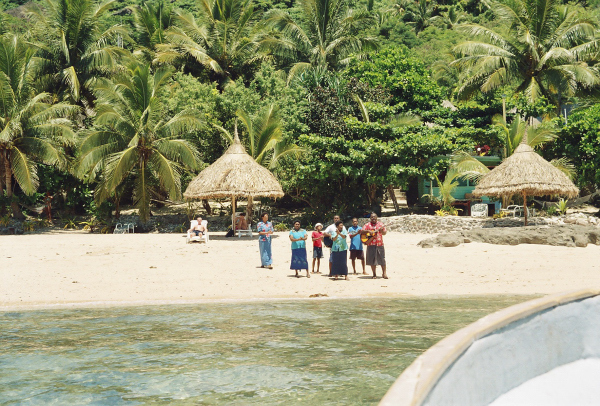 After consulting my guide book and asking for some local advice, I was told about Yasawa, an island further north. 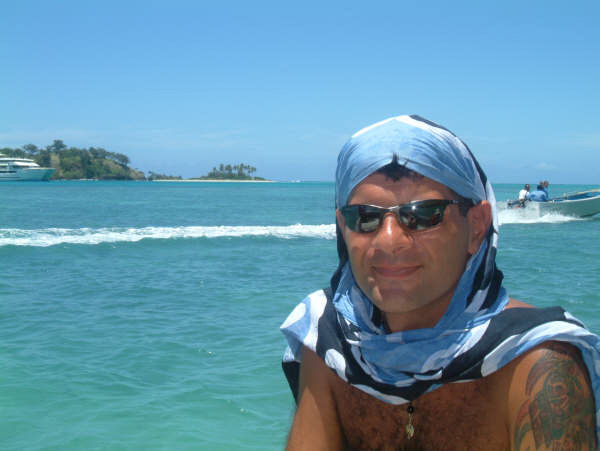 The local tribe leader, one of the strongest and richest, had made the Yasawa Island Lodge a great place for me to spend some time with Diana. I don’t remember the owner’s name but his hospitality made all the difference. 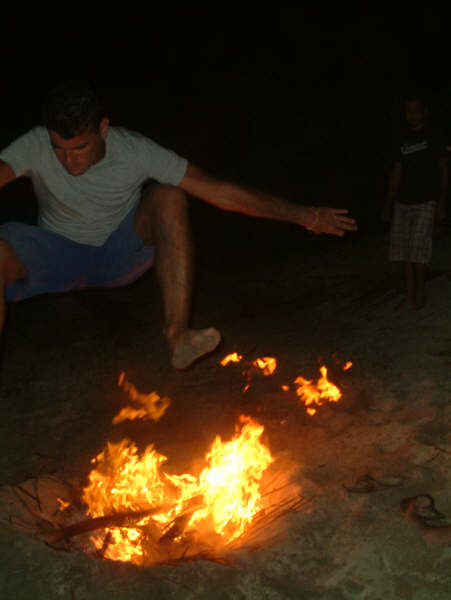 At night, by the fire I learned more about the culture and the structure of the Fijian society. We talked about the problems that the Fijians have with the immigration of the Indians and about their language and alphabet that was converted from an only speaking language to a writing one with the use of the Latin alphabet. I also found out about the human sacrifices and how the Fijians, together with the nearby Tonga and Samoa and other islands of the Pacific, got the reputation of cannibals. In my opinion it was another mistake of the so called First World, trying to explain the local customs with the western beliefs. 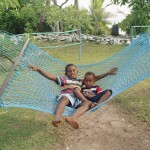 After a five-day Fijian education we had to get back to Viti Levu. Diana flew back home and I took a bus to the north of the island. 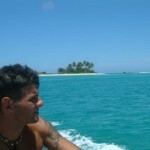 From there I took a boat to Vanua Levu and then to Taveuni, the third biggest island of the Fijian complex. 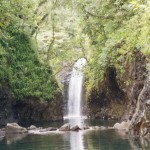 In Taveuni I planned to visit and trek the Bouma National Park with its highlight, the Tavoro waterfall. Although I expected to find something bigger, Bouma proved to be small and it wasn’t too difficult to trek all around it. So after spending the night at the rangers’ park entrance and taking a dip in the cold waters of the waterfall, I took the way back. From Taveuni I found a boat that took me straight to Suva, the Fijian capital, a modern city and the Mecca of nightlife in Fiji. I spent my last two nights there, enjoying the local company and a great person, the lovely Matilda, a black Fijian with blond hair. 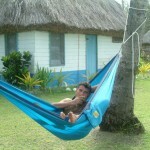 When I said goodbye to Fiji at Nadi’s airport, I realized how history sometimes misunderstands people’s way of living. So although in history books these people are considered to be cannibals, for me they are simple islanders. 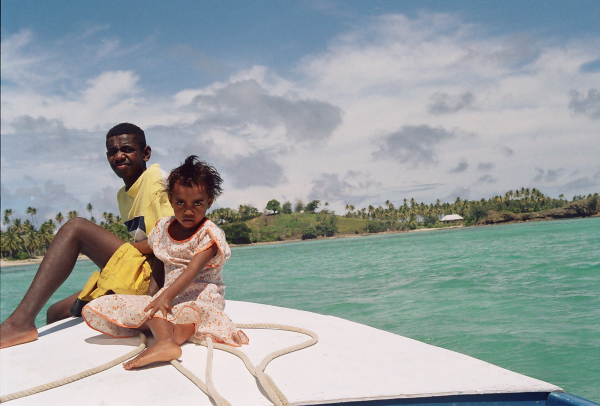 They resist to changes and they still live the way their ancestors did, many years before the first English ship stepped into the warm waters of the Fijian archipelago.